When a competitor has the upper hand just let yourself go bananas. When I was eleven I told my dad that for Halloween I wanted to wear a dress and a turban made of fruit. You know bananas, grapes and such. He asked me why and I told him that everyone was going to be dressed as Superman and Batman and I just wanted to stand out. Being a good parent he went on to explain that people will make fun of me for wearing a dress and asked me if I would consider dressing as something else. 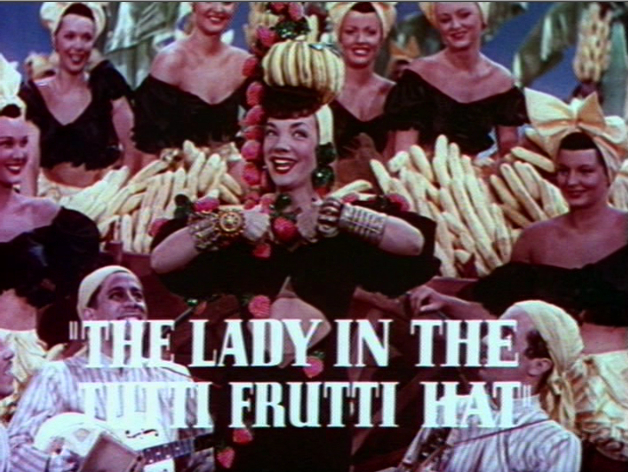 It was then that I realized that he thought I wanted to dress as Carmen Miranda but in fact I wanted to dress as Milton Bearle impersonating Carmen Miranda! I think about that every now and then, not because of the way the dress hugged my curves but because of how many people got the joke…and those who didn’t just enjoyed the spectacle and pageantry of my costume. This idea not only changed the rules but created a two fold connection to people. Those who were fans of the TV Show made an automatic connection and got very excited by the stand, took pictures, told their friends and most importantly had a good time. Those who didn’t know of the show still appreciated the spectacle of the stand and obviously enjoyed the shot of potassium that they got from the over 1000 Free Bananas (with FreshBooks Stickers on them) that were given out as part of the booth experience. This idea was popular with the people at the event and resulted in a considerable amount of attention (online and off) as well not only reminded a lot of people that “There is always money in the Banana Stand” but also that FreshBooks is a great way to get that money faster! Just curious, how well did it convert to paying customers? Did you track? We never report numbers publicly but I can say that everyone was very happy with the results of the show. Don’t you know? There’s ALWAYS money in the Banana Stand! Great job Saul. I do have one question: What comes first, the budget or the idea? Budget always comes first cause the idea has to work into the resources available. I actually did something very similar some years ago with my first startup. We participated in a very rigid trade show and we decided to contrast instead of compete. It actually worked out pretty well as we got much more attention than the fancy stands of many of our bigger competitors. The idea was also right for our pocket, we ended up spending roughly $100 USD for the whole thing.